Found 8 file extension associations related to Half-Life: Counter Strike and 5 file formats developed specifically for use with Half-Life: Counter Strike. It's a little ironic that one of the most frequently played online games these days isn't a game at all. It's Counter-Strike, the Half-Life add-on that was created by two enthusiasts and a handful of amateur level designers. Counter-Strike has undergone many facelifts in its two-year existence, and with more than 4,000 servers hosting the game at any given moment, it has burgeoned into one of the most addictive games you'll find online. Counter-Strike is a game of kill or be killed. But unlike Quake III: Arena or Unreal Tournament, it's not a mindless action game that involves nothing more than twitch-shooting. Counter-Strike brings a certain level of realism into the arena of multiplayer first-person shooters, stresses the importance of team unity and punishes anyone who tries to hog all the glory. Counter-Strike has been around in beta form for nearly two years, so anyone who's picked up the recently released retail package is bound to face some truly experienced players. This guide is meant to initiate new users to the world of Counter-Strike by providing comprehensive strategies for each map and gameplay mode and useful tips for each game weapon. 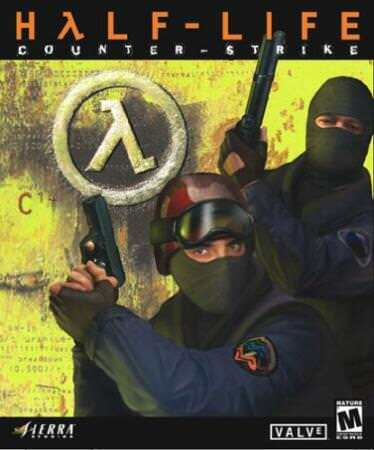 If you need more information please contact the developers of Half-Life: Counter Strike (Valve Corporation), or check out their product website.